Your ShoreTel system collects data about your communications usage. 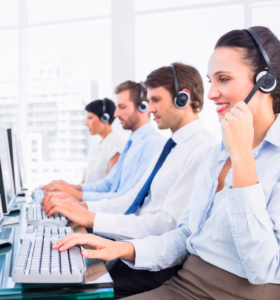 But without an easy and powerful tool for organizing, tracking and reporting all that data, it can be difficult to make informed business decisions and maximize your ShoreTel system’s potential. This is why we have begun installing BrightMetrics on the backend of all our clients’ ShoreTel systems. BrightMetrics is the most powerful web-based reporting and analytics tool built specifically for Shoretel VoiP. It pulls and organizes your phone data in any format you need, and allows you to drill down to access as much detail as you want. It functions as a plug-in to the ShoreTel interface, and makes current and historical data easily accessible. So, BrightMetrics’ analytics and reporting functionality is likely already running in the background on your system, helping us to track down and resolve problems on your system and deliver you even better customer service. Standard ShoreTel reports allow you to choose times, users and groups but offer little else in terms of customization. If you want to know how long it takes to answer calls, how much time your staff spend on each call, how many calls go unanswered, and what the most common topics are on calls, you will need an analytics tool like BrightMetrics to access this data in a useful way. BrightMetrics’ reports can be scheduled to run daily, weekly or monthly and can be automatically sent to defined email addresses. Track your systems’ capacity and get a notification when you’re running out of resources. Map call flow so you can understand how calls are routed through ShoreTel and identify ongoing issues. Make changes without interrupting your call routing practices. BrightMetrics uses your ShoreTel data to help you quickly and accurately identify problems like these, and more. The tool provides data on jitter, latency, and what times the servers are reporting to help you prevent or reduce down-time, improve customer service, and quickly resolve problems. To help your staff become more productive, you need to understand the current productivity level and identify opportunities for improvement. This will likely involve analytics on call volume, staffing levels, call duration, and number of call transfers. This kind of information can help keep labor costs down by preventing overstaffing, while ensuring your staff have the tools necessary to efficiently and effectively assist customers. 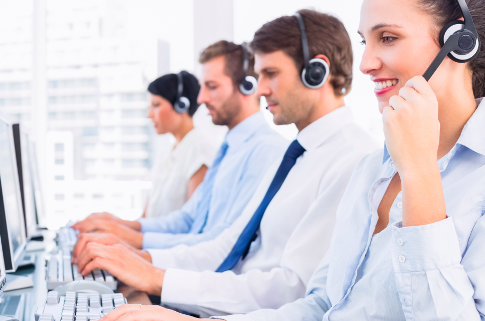 Do you know what your customers experience when they call your company? Data analytics can provide insight into how long your customers wait on hold, how many times they are transferred, and how long they speak with a staff person to resolve their need. Improvements in these critical interactions can make a significant difference in customer satisfaction. For our customers who use BrightMetrics, I have seen them gain valuable insight into their productivity and better understand how to make improvements that align with their business goals. If your business can benefit from BrightMetric’s analytics and reporting tools, please contact us to discuss fees and how this tool can support your business decision-making process.